The restaurant is open space and brightly lit with their large windows in the dining area, while the atmosphere is very relaxed and have a bit of a home feel to it. 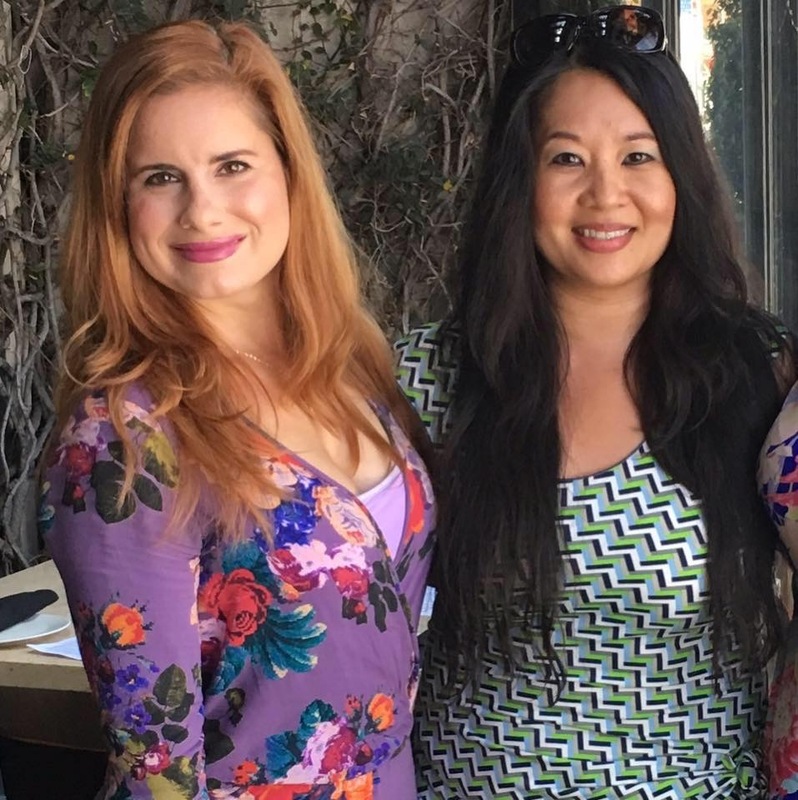 The brunch is so busy that if you do not get there early enough the wait can be a minimum of an hour, however, if you aren’t too picky as to where to sit, then they can sit you at one of two of their bars. Let’s jump right into the food parts you’re looking for! 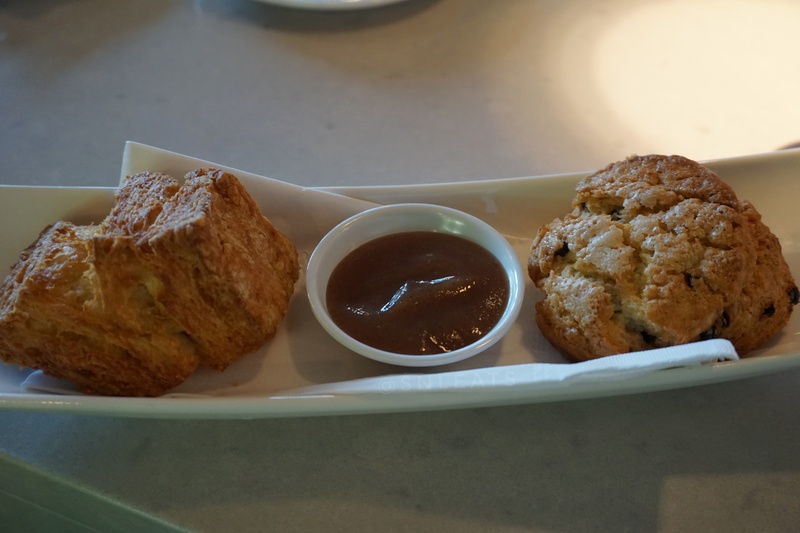 These are their scones and biscuits that are prepared fresh every morning. The two are served with their homemade preserves and you can choose whether you want both, or multiples of just one. Both of these treats were warm with a soft interior and a crunchy exterior that you can only get when freshly baked. Add their homemade apple butter and they suddenly become the best fall treat you can imagine. When you hear “Mildred’s Temple Kitchen” this stack is the first thing that comes to mind! 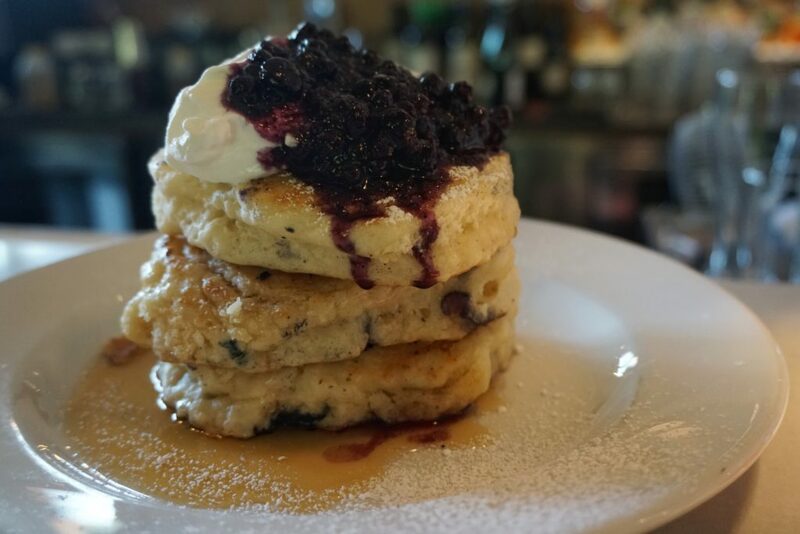 They are infamous for this glorious stack of buttermilk blueberry goodness. These pancakes have an almost biscuit like texture, offering a soft fluffy centre but with crispy edges. The wild blueberry compote is not too sweet and provides just enough sweetness to compliment the pancakes. To top it all off, Mildred’s uses local maple syrup, REAL maple syrup, which provides a bit of a rich caramel tone as maple syrup does (p.s. I’m obsessed with maple syrup. Real maple syrup is not too sweet but offers more of a caramel flavour as if you were eating actual caramel). These pancakes did not disappoint and I would definitely order this filling stack every time we visit! When this dish came out, I just wanted to pick it up and eat the entire thing with my hands! Unfortunately, I did not get to live out that dream but I did spread out all of the toppings to get everything in every bite! 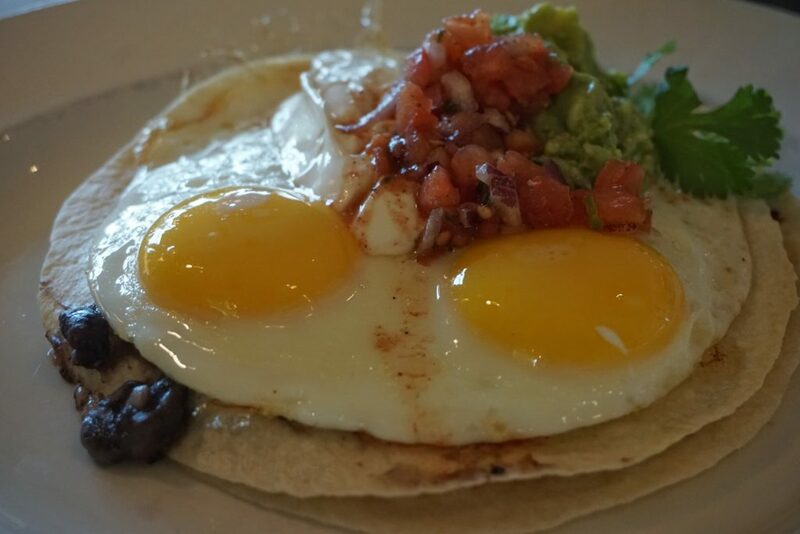 Mildred’s Huevos Monty is super filling for its small looking portion but yet at the same time very light thanks to the fresh salsa and avocado smash. 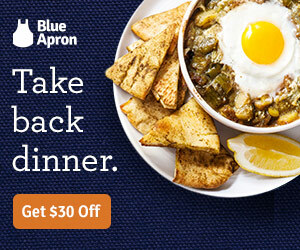 This dish just gives you a warm happy feeling with every bite. Add in their homemade hot sauce, and you get a super warm happy feeling with every bite! THE MANHANDLER. This dish was definitely filling but yet also light with the fresh arugula tossed in there and their “MP sauce” (their steak sauce). 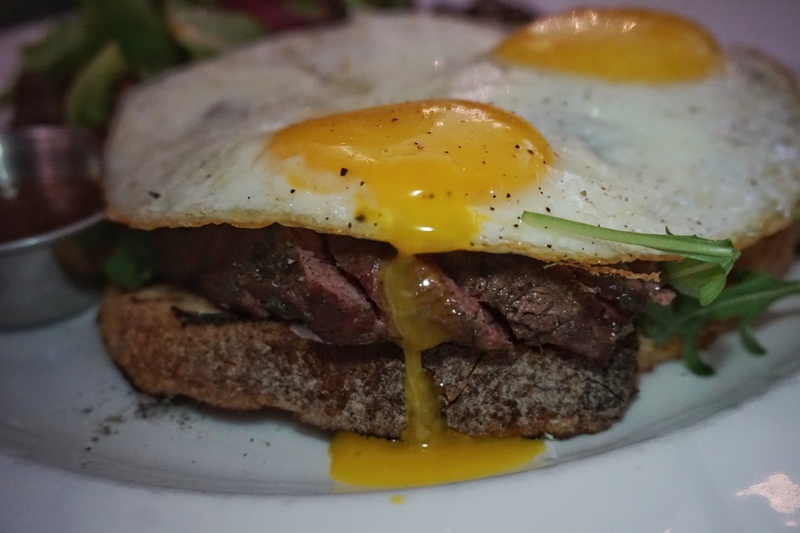 The combination of the flat iron steak, a perfect sunny side up, arugula (my favourite! ), and MP sauce all on top of the sourdough just gives you such an umami of flavours and textures that make your tastebuds run wild. Their MP sauce is a sweeter steak sauce which compliments all the savouriness piled on top of the sourdough. Mildred’s Temple Kitchen is definitely a place to go for Brunch, as long as you get there super early or have a snack before hand. Alternatively, they are also open for lunch, B’Lunch (Monday to Friday 11am-3pm) and dinner! The pancakes are also served during B’Lunch; that would be amazing to have on a stressful day at work! 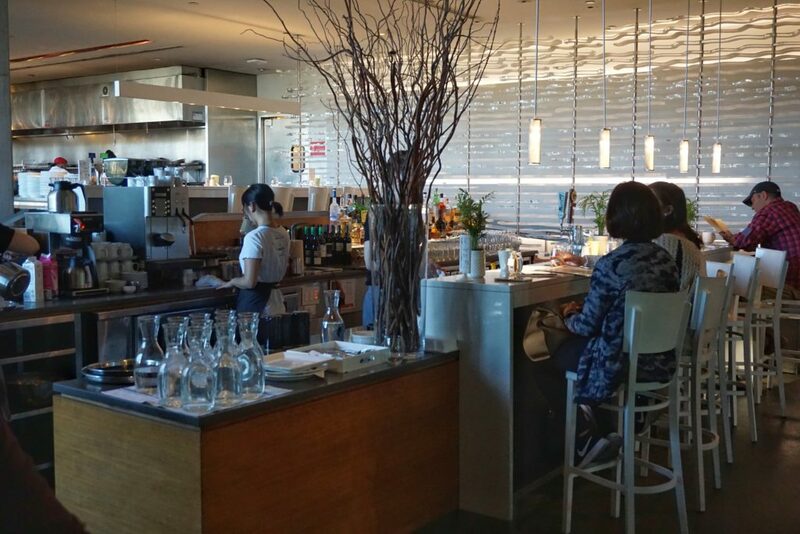 Mildred’s is a spot for the entire family, you and the girls or with your SO; no matter what there is something on the menu for everyone to enjoy!